Beckdale can supply bespoke cotton carrier bags manufactured to your exact specifications. Natural or dyed cotton materials can be used in thickness's ranging from 4oz up to 16oz thick cotton. Standard cotton bags are manufactured from a single folded sheet of cotton, printed as required and usually with a looped handle attached. This is generally the minimum specification for cotton carrier bags. More advanced designs can include a side or base gusset or both. Pockets and windows can also be added. Please remember each additional extra will add to the cost as each bag is hand made to some extent. 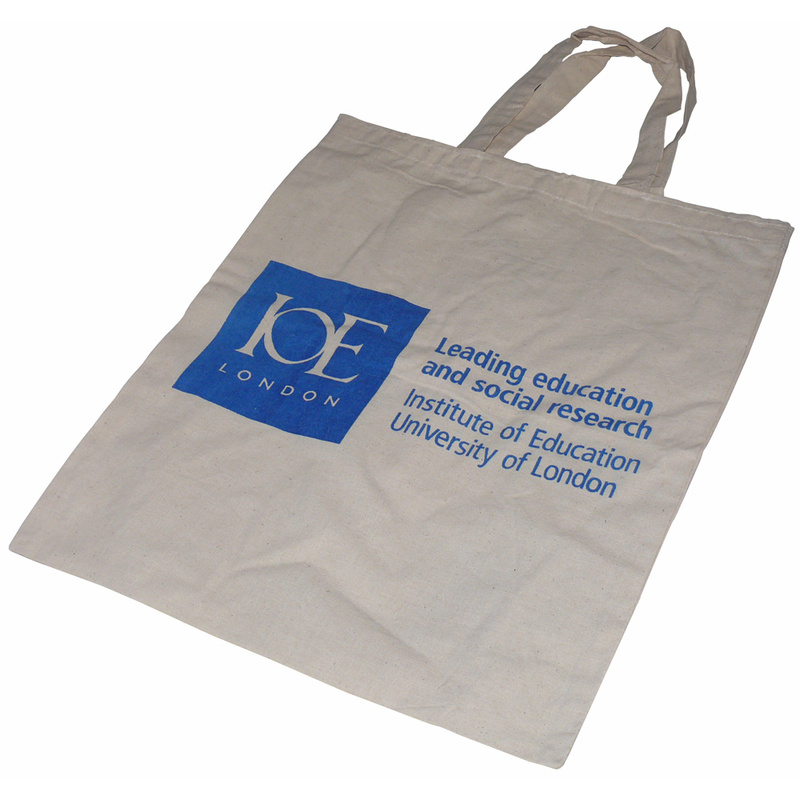 Printing onto cotton carrier bags can be as much as 16 spot colours or alternatively a transfer print can be used to provide a near photo quality finish. Our Company offer a design service for custom natural cotton carrier bags. Our in house staff have helped many purchasers buy designer natural cotton carrier bags. To proceed with choose by material or different styles of , get in touch with our staff using the above details.